← A WORD TO TODAY’S EVANGELICALS – TO GO TO HEAVEN, YOU MUST BE BORN AGAIN! [Psalms 10:11-14] tells us that the unrepentant, unbelieving sinner likes to take comfort in the false belief that the Lord is indifferent to them and to their sin, that He never notices either them nor their sins, nor cares about our lives and how we live it, one way or the other. In reality we are told in [John 3:36] and [Romans 6:14, 15] that the Lord is indifferent to no one and to no sin in any individual. The Lord is personally aware of each one of us, and it does make a difference to Him how we live our lives, and in particular, what we do about JESUS in our lives. He is so aware, and so cares, that He has placed each of us into one of two categories. We each are either “Abiding Under God’s Wrath or Under His Grace! !” The sole difference lies in what a man has done with Jesus!! The Lord does know, and the Lord does care about what He knows about each of us. 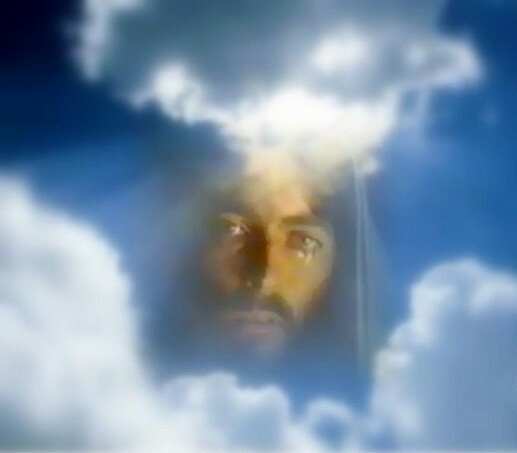 For those of us who have come to know Jesus personally as our Lord and Savior, we take great comfort in the realization that Jesus’ ever watchful eye is upon us. [Psalms 121:4, 5] “Behold He who keepeth Israel shall neither slumber nor sleep. The Lord is thy keeper…” We can lay down each evening and sleep like a baby, knowing that Jesus is on Sentry Duty, carefully watching over us at all times. For the wicked and unrepentant sinner, we are told that the Lord is also watching their lives day in and day out. He is also taking notes, He is the Divine Detective, watching and taking note of their every movement, their every word, their every deed, and one day, those carefully recorded notes will be presented at the judgment day as part of the record that will prove their personal rejection of Christ as their Lord and Savior, and provide the Judge, the Lord Jesus Christ, [Acts 17:31] with the evidence that He will use to determine their degree of eternal punishment in their eternal abode, the Lake of Fire. [Revelation 20:11-15] What a fearful thought, that the criminal’s eventual Judge, is now the Divine Detective whose Sleepless, All Seeing Eye, never misses a deed they commit, whose Omniscient Mind never forgets a deed, and whose Omnipotent Power can never be thwarted. Let’s look at the scope of the Lord’s Awareness of each and every person, and His concern for what He sees, as taught in the Scriptures. To the many that are saved there could not be a more comforting thought, than to know that we are never, ever, out of His sight or mind. He never forgets us for a moment. To the many that are lost, there could be no greater incentive for them to immediately repent and turn to Jesus, than this great truth. Satan, the subtle serpent, deceived Eve, the mother of the human race into believing this very lie in the Garden of Eden. After the Lord had given the command Not to Eat of the Tree Of The Knowledge of Good and Evil, [Genesis 2:15, 16] Satan struts into the Garden and deceives Eve into believing that God is all talk, that He really doesn’t care about whether you take Him and His Word serious or not. He’s bluffing. He just wants to be God. He just wants to be a dictator. Break loose and do your own thing, don’t take the Lord seriously, don’t worry about Him. Satan said that there will be no price to pay for disobedience, so there is no need to deny yourself, go ahead and partake of all that the world has to offer you, you only go around once, so eat, drink and be merry. The Lord is not watching over His Word, nor His Creation, He is all talk, there is no need to take His Word seriously, is the first lie man swallowed, and multitudes of Eve’s sons and daughters have swallowed that same lie from then to this very day. Is that so? What does God’s Word say, and is there proof from history that proves Satan is a liar, and the Lord said what He meant, and that He meant what He said? Yes there is, let’s look at what the Word says about Sin!! [1John 3:4] tells us that any and all Transgression of His Laws is classified by Him as SIN. His Law is found not only the 10 Commandments, but is all of His Word. Even though our society refuses to do so, the Lord does still call some things as Sin. Anytime that anyone disobeys the Lord’s Word, he or she has crossed the line, over which the Lord says if a man goes, he has sinned. America and the Church in America must return to believing that the Bible is the Word of God, and to disobey and defy it is SIN. The corruption from disobedience is destroying us, it is literally killing us. The STENCH of DEATH is upon our Churches and our Nation. Sin IS Transgression of the Law of God. The fruits of our disobedience are crime, corruption, callousness, break down of the Home, etc., proves that disobedience to God’s Word is Sin, and that the Lord is not indifferent to His Word or to those who disobey it. We Must have a Revival of Believing The Bible is True and Authoritative, and to disobey or ignore it is Sin, and we sin to our own peril. Sin is also seen as a personal affront to the Lord Himself. [Psalms 51:5] tells us that King David came to realize that when he took another man’s wife into his bed, he had not only sinned against her husband, but ultimately he had sinned against the Lord Himself. What made David feel that way? Why did David say that in taking another man’s wife that he had insulted the Lord? That he had offended and defied the Lord Himself? He did so because he knew that in the 10 Commandments the Lord had said: [Exodus 20:17] “Thou shalt not covet thy neighbor’s wife…” (Thou Shalt Not Commit Adultery) It was the Lord Himself that had given those commands to man, they were His Commandments and to disobey them was to disobey the Lord Himself, it was a Sin against the Lord Himself. America may pull down the 10 Commandments from off of the Walls of our Schools and Court Houses, in an attempt to rid our society from any of their restraints, but the fact remains; [Psalms 12:6,7 ] “The Words of the Lord are pure words, like silver tried (tested) in a furnace of earth, purified seven times. Thou shalt keep them, O Lord, thou shalt Preserve them from this Generation forever.” For generations the Foes of the Word had constantly attacked it, and its Friends have often been apathetic to it, yet the Word lives on. When its foes have bit the dust the Lord has stirred the hearts of His people to rise up and blow the dust from the Word and once again Preach it and Practice it. If the Lord tarries His Coming, this God Defying Generation will return to the dust from whence they came and the worms will eat their rotten corpse, and then the Truth that has fallen in the streets and been trampled on by this generation, will find in the next Generation the Lord will have His Faithful Few who will pick it up, clean it off, and once again place it back on those same Walls from where their forefathers had taken them down. They will put it back in their lives, their homes, their pulpits, and Jesus will once again be lifted up, and the WORD OF GOD WILL LIVE ON!!! DO IT NOW LORD JESUS, DO IT NOW!! Sin is not only Transgression against the Law and the Lord, but also against our Land. The Lord had given Israel a land flowing with milk and honey, but it was also a land filled with pollution and practices of the vile, perverted pagans who had inhabited the land. The Lord told His people to destroy these pagans and to rid the land of the pagans and their practices, and for the most part they did so. When they had conquered and settled the land they had a wonderful and pure place to live and to raise their children, free from filth and vice. The Lord had ordered them not to disobey His Word and Sin, because in doing so they would once again pollute and defile their land. Sadly, they did not heed the Lord’s warning, and in later years the land once again became cesspool of iniquity. They had sinned against the land as had the pagans that had inhabited the land before them. This sin would cause the Lord to shut up the heavens and cut off the former and latter rains, creating droughts and barren land, where there had once been green pastures and bountiful crops. This sin would bring disease and plagues where there once had been health and longevity of life. This sin would bring war and the land would be forced to drink the blood of its people as well as it foreign foes. They had sinned against their land. When a people Sin, they Sin against their Land. We bring poverty where there has been plenty. We bring natural disasters where there had once been the smile of heaven. We bring war and blood where there had once been peace and prosperity. We bring disease in where there had once been health, we fill our cities and streets with crime and vice in the place of wholesome and peaceful neighborhoods. We transgress against our land. Christians must see that to be tolerant of sin is defiling and destroying our land. [1 Corinthians 5:6] “Know ye not that a little leaven leaveneth the whole lump.” For me, the Homosexual does not have the RIGHT to Marry, to Adopt Children, to Teach Our Kids, To Hold Our Offices. This defiles the land where I live, it defiles the land for which I went to War as a youth, to protect our way of life for future generations. It defiles and destroys the land my kids and grandkids and yours, will have to grow up in. Let me not leave this point without giving a clear warning to the Child of God. You can sin and you may choose to sin, but you will not get away with sin either. [Hebrews 12:6,8] “For whom the Lord loveth He chasteneth, and scourgeth every son He receiveth…But if ye be without chastisement, of which all are partakers, they are @#! *% (illegitimate) and Not Sons.” When you sin the Lord will never let you get by with it, and if you claim to be a Christian and have known sin in your life and the Lord is not whipping you for it, then you are NOT a Child of God. This ought to give pause to many on the rolls of our Churches today, that never show any evidence that the Lord and His Word has any place in their lives and heart. The Psalmist was suffering spite and mischief at the hands of the wicked around him, and at the moment it felt as though the Lord was afar off and even in hiding when he needed Him the most. [Psalms 10:1 ] All of us have experienced the sting of suffering, and its sting is especially painful when it comes as you are trying your best to live right and do right. Injustice is then added to our suffering, making it an even harder pill to swallow. But what makes the sting almost unbearable is when you add the Lord’s seeming indifference to the wicked peoples persecution and injustices. That is where the Psalmist was at in his life, but he works his way through the deep struggles of faith to victory. Like Job, there will be many struggles in our lives that we will never have the answers to, and we will have to learn to walk by our Faith in Jesus. I have heard many say that when we get to Heaven that the Lord will then answer all of these questions, that we never found answers to, but I believe that when we get to Heaven that it will not matter any longer, we will not need answers. We will then know as we can now know; [2 Corinthians 4:17] “For our light affliction, which is but for a moment, WORKETH FOR US a far more exceeding and eternal weight of glory.” Heaven will be richer for our sufferings while here on earth, so much so that these present trials will never come to mind. That will be a great day, but in the mean time we must come to grips with suffering. There are two great truths taught us in Scripture that will help us in those hours when the sting of suffering and injustice is compounded by the seemingly indifference of the Lord to our plight. The Lord has an end goal in mind for all of His Children, and that is for each of us, “…to be conformed to the image of His Son.” (Jesus) We will never be perfect until we see Him face to face, [1 John 3:2] but from the day of our salvation until then, the Lord who,”…hath began a good work in you will perform it until the day of Jesus Christ.” [Philippians 1:6] There will be times, even seasons, that the Lord sees (even when we cannot see it) things of our flesh (the old nature) that need to be purged from us, and the best tool at His disposal to accomplish that is suffering and trials. All of us who are Christians know that sufferings has helped us to grow spiritually more than anything else, and the times of greatest growth have been the times when the suffering has taken us into the deepest valleys, and have kept us there the longest. You can be assured if you are in a season of suffering the Lord has put you there to Purge Your Flesh and to grow you to new spiritual heights. Times of ease and comfort can stymie the growth of our faith. Faith is like a muscle, if you do not exercise it, it will not grow. Suffering and trials are surely meant to get us to exercise our faith in the Lord. There will be times when you may be stripped of everything in our lives that you have been prone to lean upon. It is then, (when you are forced to) that you must learn to use your faith in Jesus. In [2 Corinthians 1:8-10] The Apostle Paul tells us that this is exactly what had happened to him. He had been brought to death’s door through some experience, and in this greatest trial he learned that Jesus was the only one who could deliver him. He lost faith in himself and all other things that he may have been prone to lean on during lesser trials. His faith was rewarded, the Lord delivered him from the sentence of death, and now his faith has so grown through this great trial, that he can now say that he has no doubt that Jesus will do it again when the need arises, as it surely will. That is what Jesus means for your trials to do for you. Are your trials prodding your faith to grow? Are your trials purging your flesh and making you more like Jesus? Read [Psalms 119:67, 71] and see that the Psalmist looks back upon his afflictions and realizes that they were the very things that learned him to be an obedient and faithful Christian. The Psalmist felt as if his prayers had gone unheard by the Lord. Who has not felt the same despair? It is clear from the rest of the chapter that the Psalmist was to learn that his prayers that seemed to have gone unanswered had not gone unheard by the Lord. Why then the Silence? What are we to make of those excruciating seasons of silence? What are we to know that will help our faith to see us through the silence? The Scripture teaches us at least three things we need to remember in these times. During the times of silence we are taught not to give up, but to keep praying and waiting upon the Lord’s timing. With the Lord everything waits upon His timing. Abraham and Sarah had to learn that hard lesson as they were forced to wait for years upon the son of promise. [Genesis 11:10-21:8] Promises and prayers are at times brought to pass immediately, but more often than not, they are to be had in the future. If the Lord has not told you to stop praying or to change your request, then you can be sure that Silence is only a sign to you that the Lord’s Timing Hasn’t Arrived. Keep on asking, keep on seeking, keep on knocking, the Lord will answer in His time and in His way. [Matthew 5:23] tells us that at times when we come to the altar with our gifts and prayers, that the Lord will be unresponsive to you, except for reminding you of the wrongs that you have failed to right. All of us have went to prayer, seeking from the Lord a need, only to have our minds to become consumed by the thoughts of our un-confessed sins and un-righted wrongs towards another. If the Lord is Silent then it may be a good time for you to examine your life and see if there is anything that is between you and the Lord. Many times the only time the Lord can speak to one about the sins in their lives is when they come to Him with the supplications for their lives. If you are not getting answers, listen for orders, if you are not getting what you want from the Lord, listen to see if there is anything that He is wanting of you. Examine your lives. If the Lord is silent do not give up, it is time to pray again. The Lord tells us in [Luke 11:9], that closed doors open for those who keep on asking, and knocking. The Lord tells us in [Luke 18:5] even the most helpless among us can get answers if they keep on praying. Are your prayers unanswered? Does it seem that the Lord is indifferent to your supplications? Put such foolish thoughts aside and keep on praying. It is alarming to read surveys that show an increasing number of people in America today believe that if there is a God, that He, like them, sees all Religions as equally valid ways to heaven, He makes no distinction between the differing Faiths of the World. In 2008, a PEW Research Poll revealed that 82% of Protestants believe there are multiple paths to heaven, as did 79% of Catholics and 57% of evangelicals. Many are also coming to the conclusion that there is no need for any particular religious faith whatsoever. If there is a heaven, then everyone will end up there anyway, with the exception of the vilest among us, such as the Hitler’s, the Jeffery Dahmer’s, etc. They believe that man’s goodness far outweighs his badness. Those views come from the dark and ignorant minds of men who have rejected the Word of God and the God of the Word. They have made up an imaginary of God in their own sinful minds that suits the evil and godless lives they have chosen to live. Believers. The non-believers were condemned and the believers were not condemned. In [John3:16] Jesus tells us that those who choose to Believe in Jesus will have everlasting life and those who choose not to Believe in Jesus will perish in a Devil’s @#!*% . In [John 14:6] “Jesus saith unto him, (Thomas) I am the way, the truth, and the life; NO MAN cometh unto the Father but by Me.” Jesus tells us the He is the only way to heaven, there are not a thousand ways, nor is there two, there is just one way and Jesus it that way. In [Acts 4:12] we read, “Neither is there salvation in any other; for there is NO other name under heaven given among men, whereby we must be saved.” Jesus tells us here that all men must be saved and that all men must be saved the same way, and that way is Jesus. Jesus also tells us here that everyone is not worshipping the same God with just a different name. He tells us that there is NO OTHER NAME whereby we must and can be saved other than the name of Jesus. [Romans 10:13] tells us; “For whosoever shall call upon the NAME of THE LORD (Jesus) shall be saved.” If a man is calling upon Buddha, he will die and go to @#! *% , there is no salvation in the name of Buddha. If a man calls upon Allah for salvation, he will die and go to @#! *% , for there is no salvation in the name of Allah. If a man doesn’t call upon these false gods and yet never calls upon the Name of Jesus either, he too will die and go to @#!*% . Death means separation from God in this life and in the next life if they die without knowing Jesus as their Lord and Savior. Jesus came into the world to live a sinless life so that He may be able to die as the sinner’s substitute to satisfy the justice of God and pay our penalty for the broken law. My friend, the message of the Bible is that since Adam’s fall, all have inherited his fallen nature and are sinners not only by choice, but also by nature. And as Adam was brought under the sentence of death for his sin, so is each of us. But God in His great love for mankind before the foundation of the world devised a plan, a single plan whereby His justice could be satisfied and our penalty paid for, and we could be forgiven and free from sin’s penalty and given eternal life. Jesus and His death and shed blood upon the Cross is God’s only plan whereby every man can and must be saved. My friend, the Lord is not indifferent to your salvation. He plainly states that if you have not repented of your life of sin and personally received Jesus as your Lord and Savior, that He sees you as a lost, @#! *% bound, @#! *% deserving sinner. The Lord is aware of all men. He is aware of your Sins, He is aware of your Sufferings, He is aware of your Supplications, He is aware of your Salvation. If you are saved, it is because Salvation is of the Lord. The Lord knew your need before the World was ever created, and He made provision for your salvation before you were ever born. He has always been aware of you. One day He chose to intervene in your life and convict you of your sin and bring you to repentance and faith in Christ. He found you because you were the one that was lost. Oh, what great love that brought salvations plan down to man!! If you are reading this message and feel as if the Lord has forgotten you, take comfort, you are never off of His mind, he is aware of the very numbers of hairs upon your head. [ Matthew 10:30 ] Someday and in some way He will come through for you. If you are reading this message and now realize that you are a sinner in need of salvation that too is because of the Lord’s Awareness of you. He has chosen this very moment in time to save you and to make you His child and to give you an eternal home with Him in heaven. Won’t you come to Him while He is near? Oh sinner, please don’t turn Him away, right now as you hear His voice and feel His love, let him have His way and save you today. This entry was posted in Christian Living In Todays World, REVIVAL, SERMONS. Bookmark the permalink. 1 Response to JESUS IS AWARE OF OUR DEEDS AND HE CARES ABOUT WHAT HE SEES!